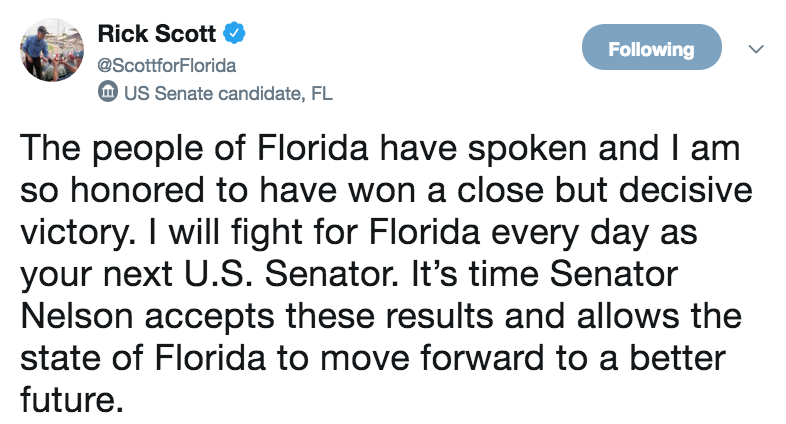 Yesterday’s unofficial election results confirmed what we’ve known since Tuesday: Rick Scott won a close but decisive victory. 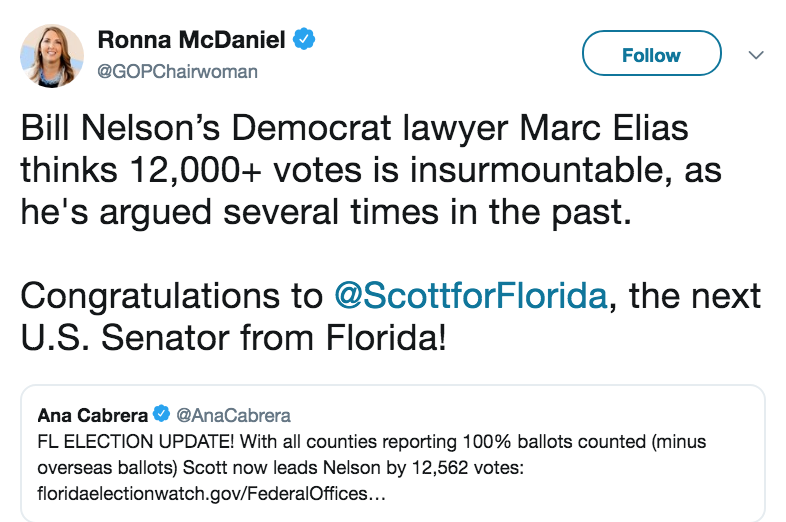 Rick Scott won the election over incumbent Senator Bill Nelson. The margin was 12,562 votes. 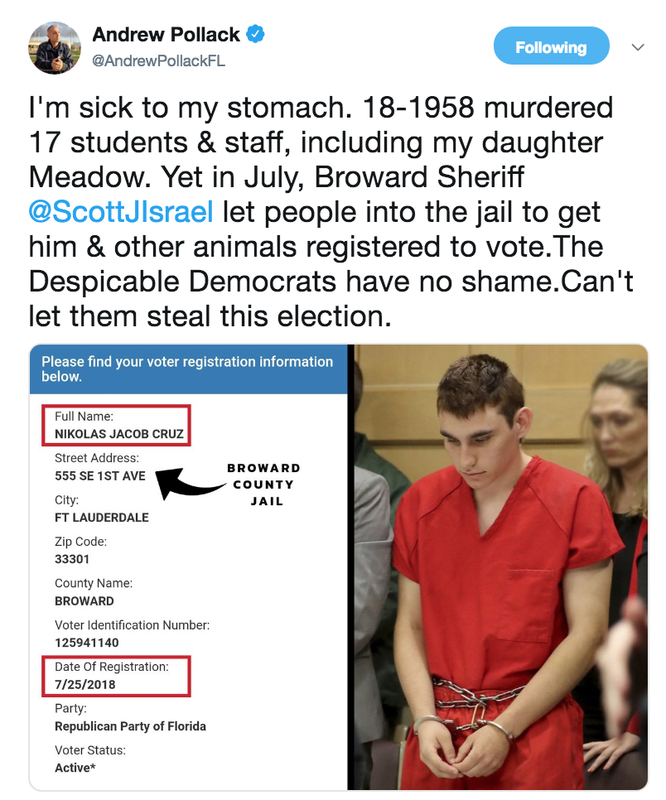 Rick Scott won more votes in a midterm election than any U.S. Senate candidate in Florida history. 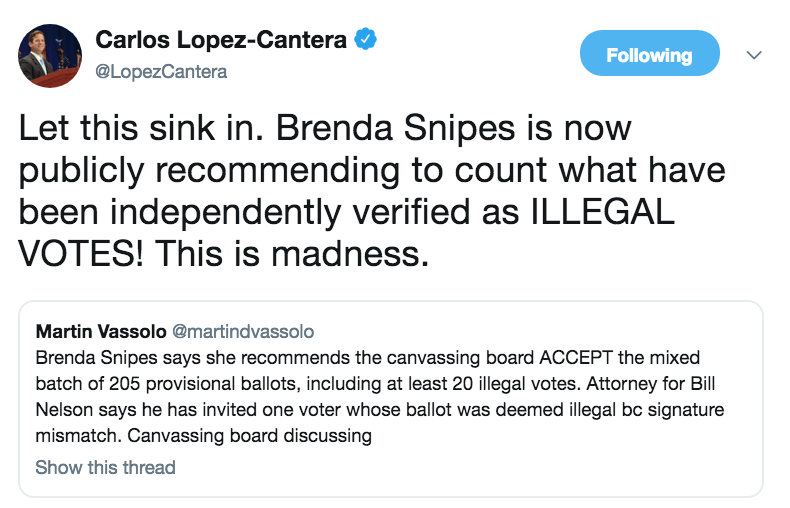 Bill Nelson has the option of declining a recount. “He won the election fair and square,” Graham said, using the past tense in a conference call with reporters arranged by Scott’s campaign. You can read that story from the Tampa Bay Times here. This morning, Senator-Elect Scott will be joining Chris Wallace on Fox News Sunday.Check your local listings.